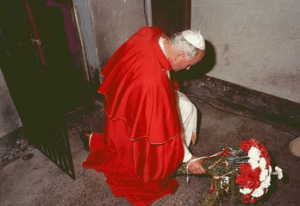 To His Holiness, Pope John Paul II, who, attentive to truth, to justice, and to the voice of the people, proclaimed the martyrdom of Maximilian Kolbe. (On the day of the canonization of Maximilian Kolbe) his brother Franciscan prayed fervently that his fellow countryman would be proclaimed a martyr by John Paul II. His hopes hesitated between joy and fear. Right up to the end, difficulties were posed by experts. They cast no doubt on the sanctity of Kolbe, whose heroism they had acknowledged. A man dedicated to the Gospel, imprisoned at Auschwitz, gave his life to save a fellow prisoner; he was condemned to starve to death. Theologians wanted his canonized as a confessor and not a martyr. Since he hadn’t been interrogated by his executioners about the Faith, did he qualify? Would John Paul feel bound by the opinion of theologians, or would he pass over it to respond to universal expectation and his own desire. Sunday, October 10,1982: 200 thousand people assembled for the canonization. Confessor? Martyr. John Paul, the genius of communication had said nothing, and let God be his only confidant. The altar was ready, banked with flowers. All was ready. the coat of arms of John Paul was displayed. A portrait of Maximilian Kolbe in his black, Franciscan robe. Confessor? Martyr? No one knew.Would John Paul pass over contrary opinion and proclaim himself in favor of the verdict of martyrdom? The crowd only found out when the Pope appeared in red vestments, and after a moment of silence, there was a great murmur of ratification. When the officials approached John Paul to ask him to inscribe Kolbe in the canon of saints, the Pope did not reply right away. After they knelt to recite the Litany of the Saints, all rose to hear the Pope’s reply: To the glory of the most Blessed Trinity, for the exaltation of the Catholic Faith and the growth of Christian life, by the authority of Jesus Christ, the Apostles Peter and Paul, and by our own authority…after having reflected at length, we declare and decree that the Blessed Maximilian Kolbe is a saint; and that he shall be inscribed the the canon of saints and throughout the Church, piously honored among the martyrs. It is true that theology can argue about martyrdom, love cannot. Thus, on that October Sunday, in that place where the Church has always invited to pardon and called for mercy, one generous heart celebrated another. 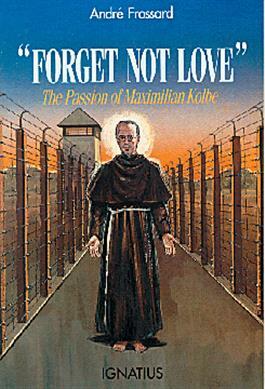 —-Forget Not Love, by Andre Frossard, The Passion of Maximilian Kolbe. How does one come to have a first class relic of a saint who died a martyr’s death in Auschwitz? Of all the relics in Father Kunst’s Collection, perhaps this one is the most incredible. This is a first-class relic, in the form of hairs from his head and beard, preserved without his knowledge by two friars at Niepolkalanow who served as barbers in his friary between 1930 and 1941. 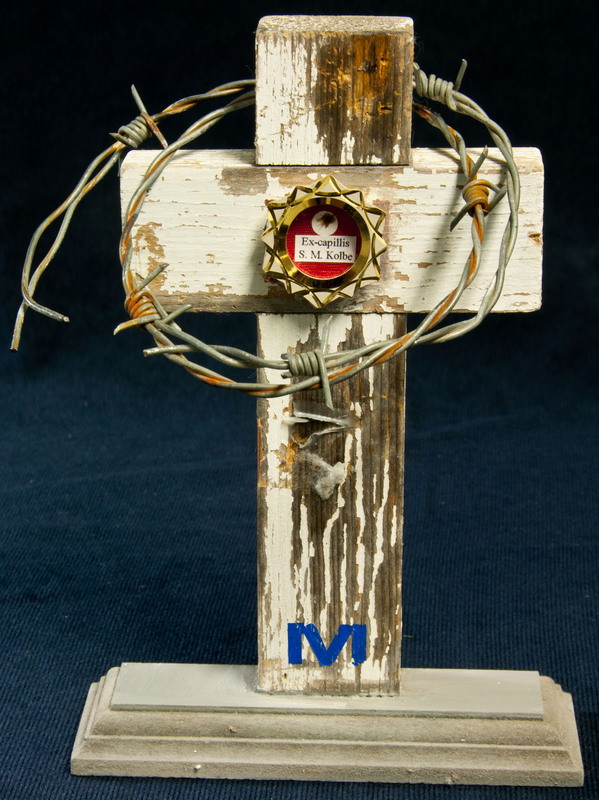 Since his beatification in 1971, these relics have been distributed around the world for public veneration. 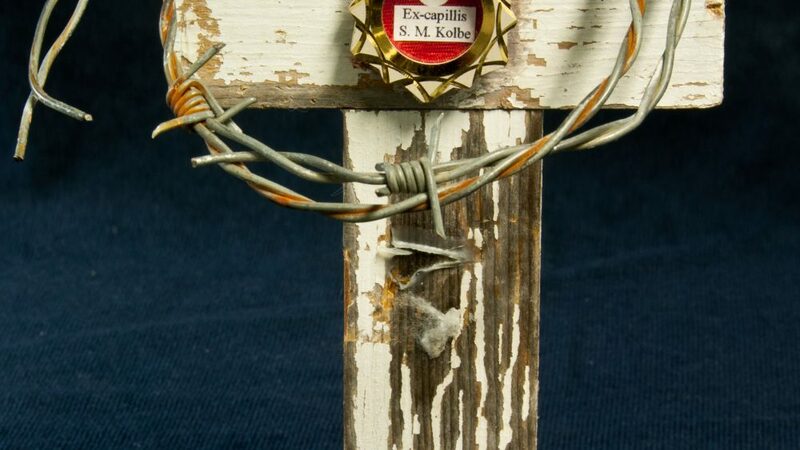 The document, included here, authenticates the 1st class relic of hairs from St. Maximilian Kolbe’s beard. The barber, who shaved his beard, was supposed to burn the hair, but the fire went out, and as a result the barber kept these hairs. They are now a 1st class relic of a martyred saint. The famous French author’s unique writing style captivates the reader with the heroic story of Saint Maximilian Kolbe, a modern apostle of Catholic evangelization, Marian spirituality, and a martyr of charity. With the encouragement of Pope John Paul II and the help of documentation (some unpublished) given to him by the Vatican, Frossard chronicles the dramatic and moving life of this Polish Franciscan who volunteered to die in place of a fellow prisoner in Auschwitz.